A member of the G-Mobb/Guttah gang was convicted of two felony counts of a felon in possession of a firearm. In a verdict that was issued yesterday, Todd Williams, a verified gang member was convicted in a jury trial Todd Williams was convicted by a jury of two counts of felon in possession of a firearm. 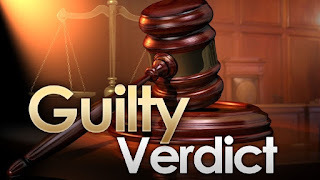 The jury also found true a gang allegation on both counts. On August 17, 2016, Williams was in car that law enforcement attempted to stop. Williams fled from the car, and officers gave chase. When Williams was apprehended, he was found to be in possession of two loaded firearms. Williams has a prior 2010 strike conviction for accessory after the fact to attempted murder with a gang enhancement and had previously served 7 years in prison for this offense. Williams faces a maximum sentence of 17 years and 8 months in prison. Sentencing is set for July 21, 2017, at 9:00 a.m. in Department 22 before the Judge Russell Hom. No Comment to " Sacramento G-Mobb/Guttah Validated Gang Member Convicted of Firearm Possession "